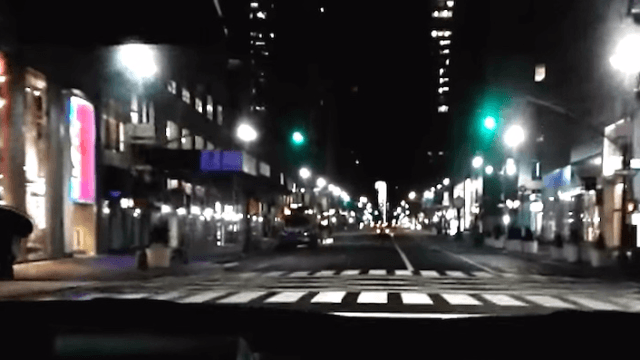 Watch a guy hit 240 green lights in a row and you will be satisfied forever. There's nothing more satisfying than hitting every green light on your drive home from work. So imagine if you hit 240 in a row, over the course of a half hour, while driving through New York City. That's what taxi driver Noah Forman accomplished in December 2016, when he set out to break the Manhattan record for consecutive green lights, which was 100 (a record he himself set in 2014). This time, he carefully planned everything, starting his journey at 3:30 AM, and driving down Fifth Avenue—a stretch whose timing he understood very well. Amazingly, he managed to hit approximately 240 greens before being caught by his first yellow, smashing his old record and setting a new gold standard for cabbies everywhere. What's more, he and his team recorded the whole thing, and turned it into this deeply satisfying time-lapse clip set to a smooth hip-hop groove. I wasn't satisfied with that number, these two years have gone by and much has changed, people are driving slower, stopping in random places, crossing four lanes of traffic. More trucks are out at night, a lot more uber cars are on the road… I was hoping to push my goal up to a large number like 500 green lights, but I'll settle for this: no stopping, smooth, well mostly smooth sailing, for an estimated 240 lights, one yellow, all the rest green. Here's the full unedited clip of his record-breaking achievement. This is truly remarkable. I live in New York, and I don't think I've ever been in a cab that hit a green before. Most cabbies will only drive through yellows and reds on principle.